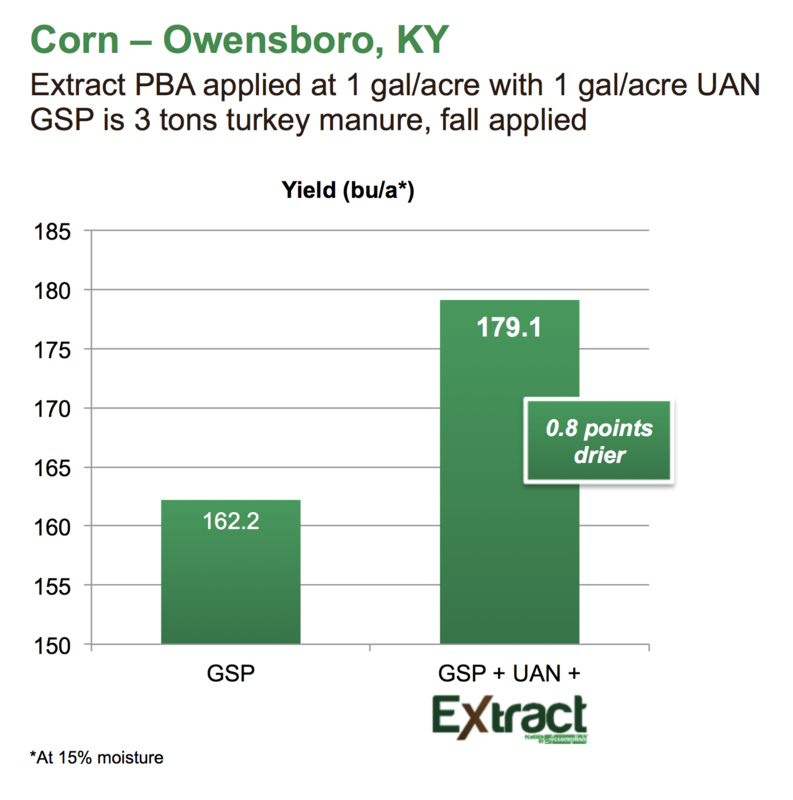 Burndown season is here, and that offers growers a great opportunity to benefit from an application of Extract PBA on each acre. 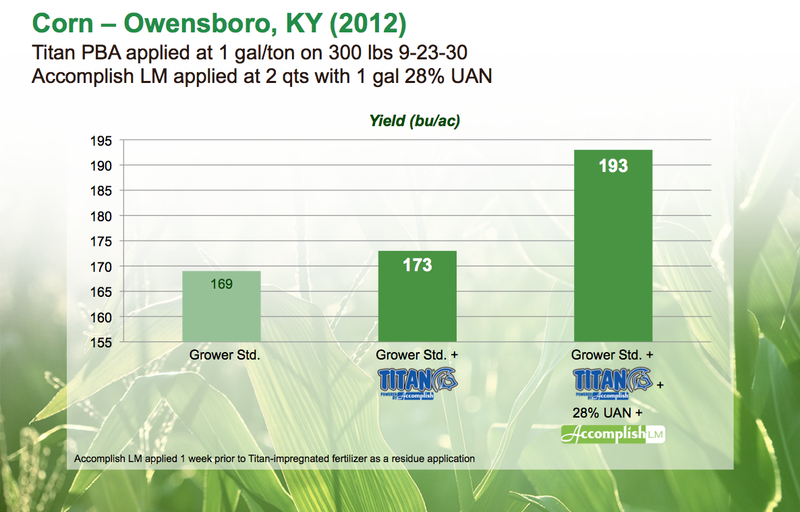 Below is a photo taken in early March from an ongoing wheat trial in Hardin, Kentucky. 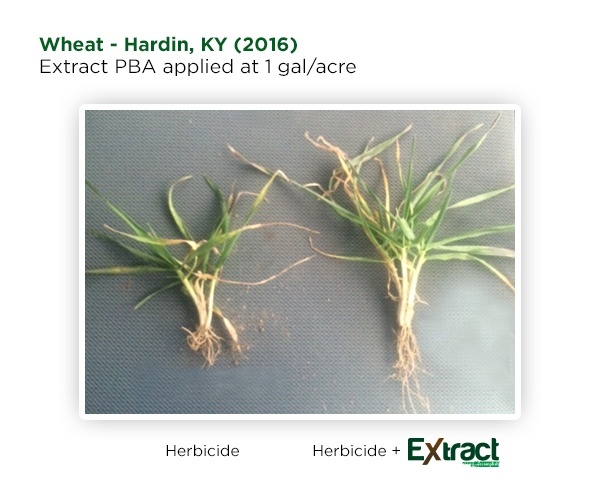 As you can see, the plant on the right–where Extract PBA was applied with a pre-emerge herbicide–is better positioned to realize top-end yield potential. 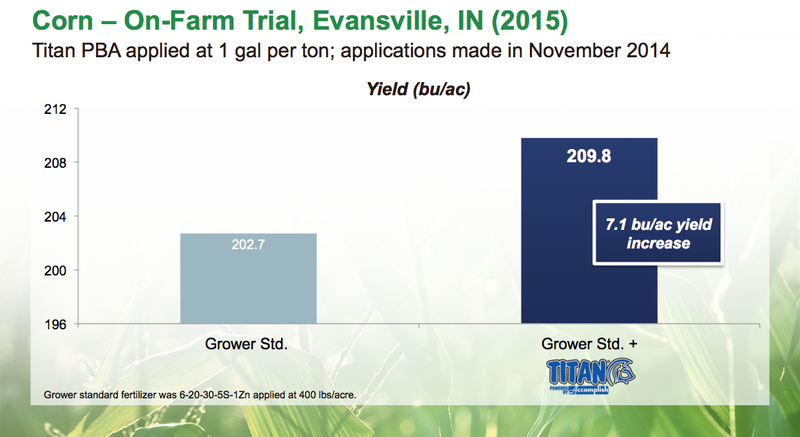 Growers who use Accomplish LM in their starter programs see the benefits of improved early plant growth and increased yields at the end of the season. 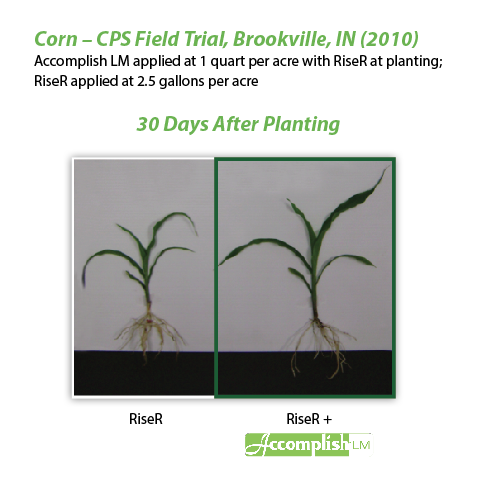 The superior early performance of corn grown with Accomplish LM + RiseR is noticeable just 30 days after planting (Figure 1), with better plant growth and root development compared to a starter program without Accomplish LM.